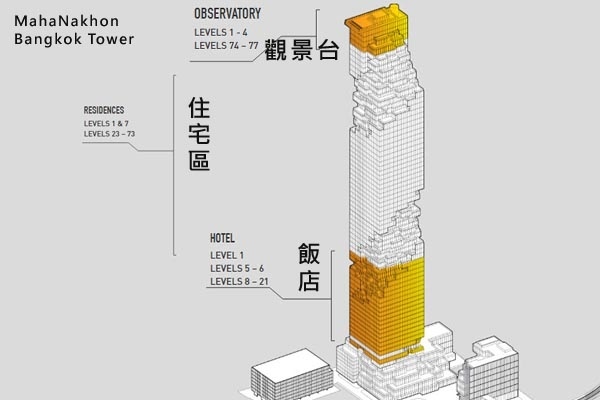 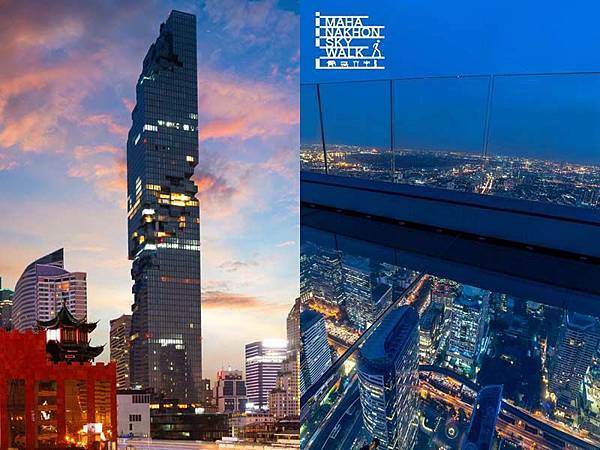 MahaNakhon by Buro Ole Scheeren Group through HLS. 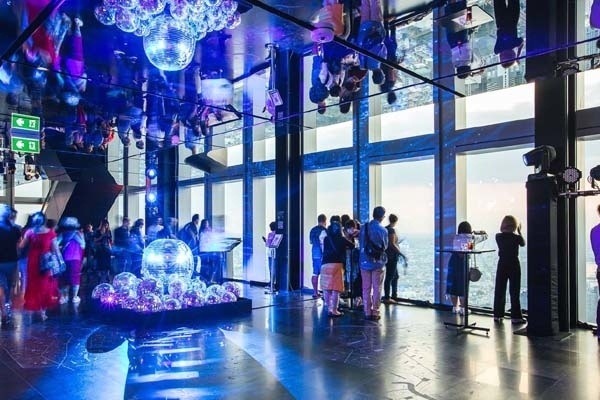 Mahanakhon 74 Floor Indoor observatory. 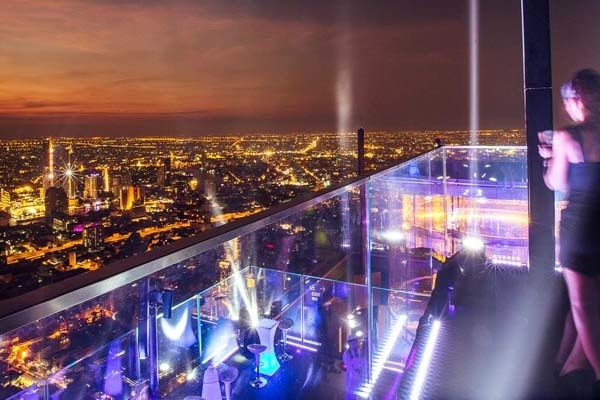 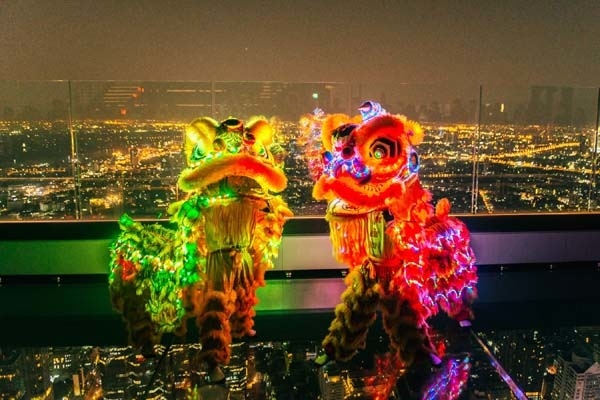 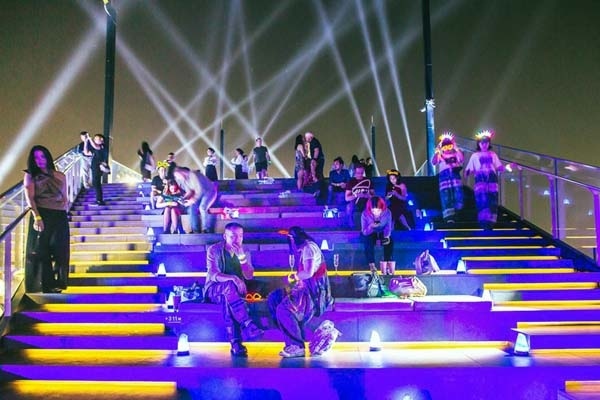 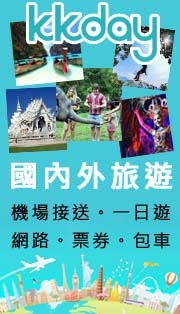 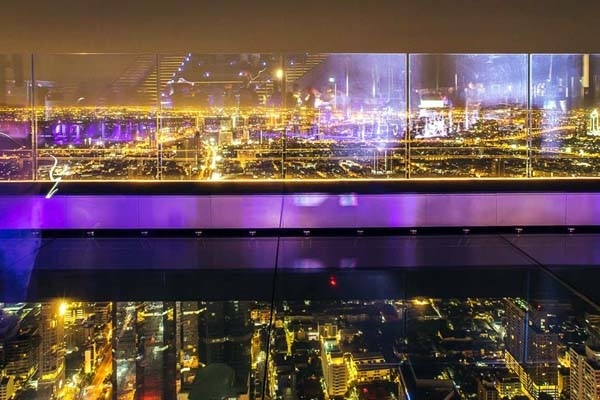 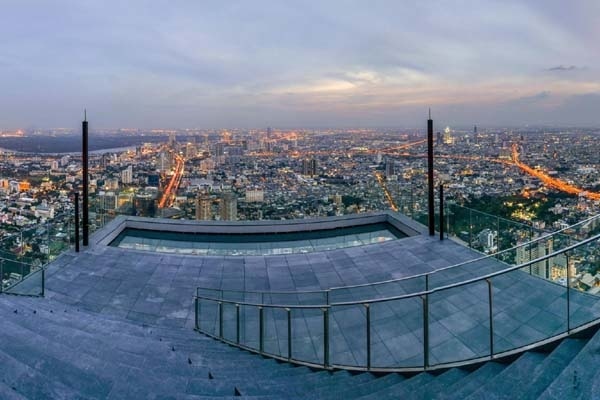 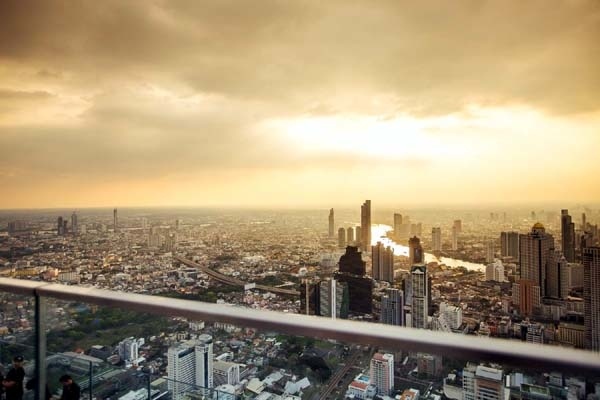 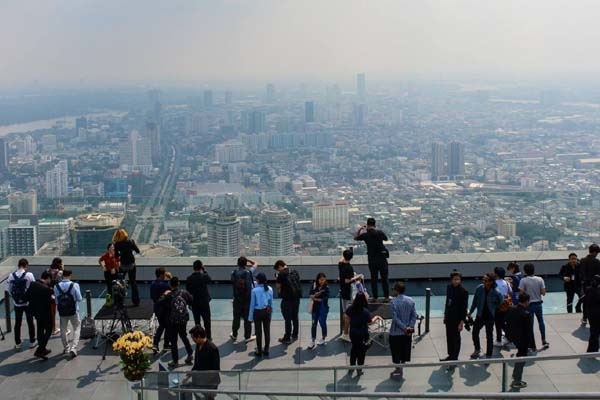 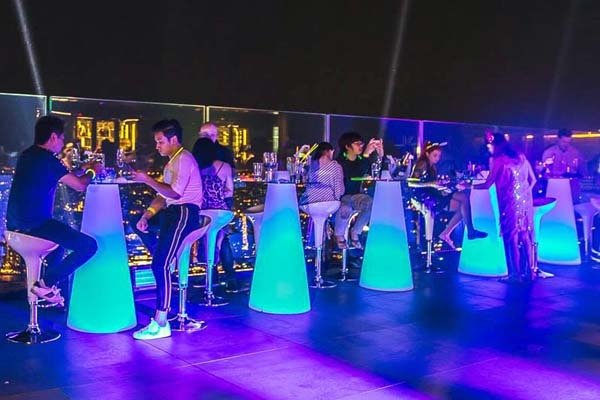 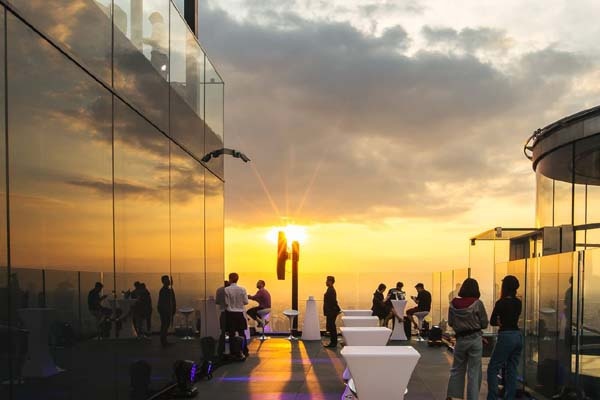 Thailand’s highest outdoor observation area,Thailand’s highest Rooftop Bar. 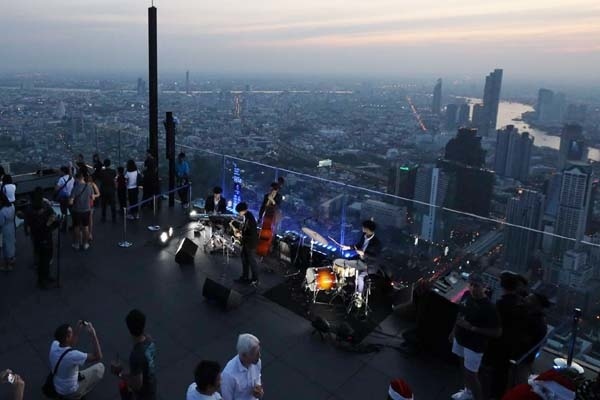 Mahanakhon 78 Floor Outdoor observatory. 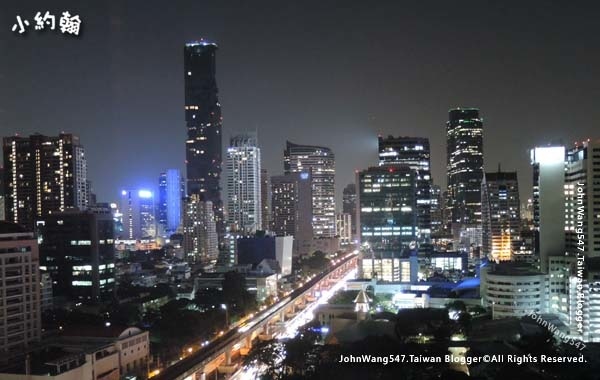 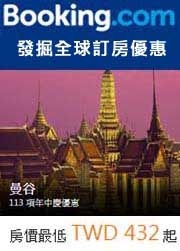 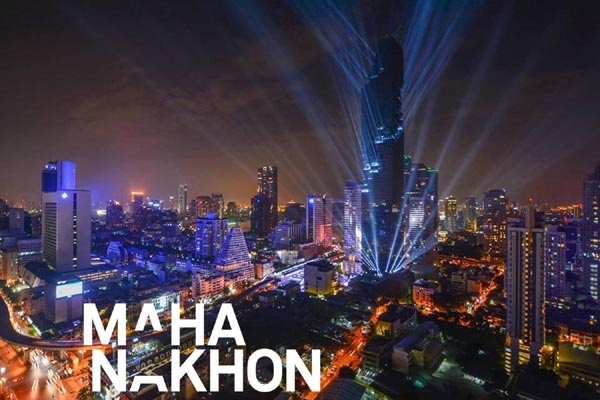 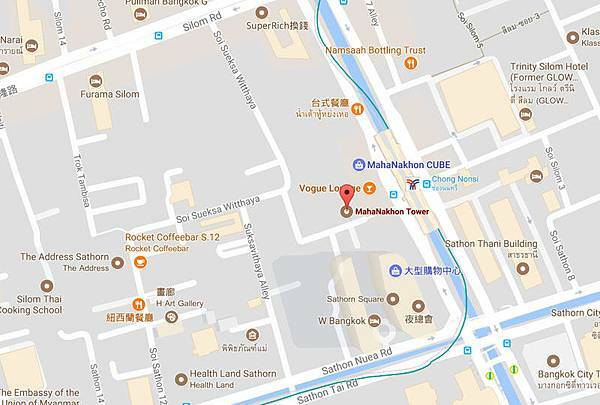 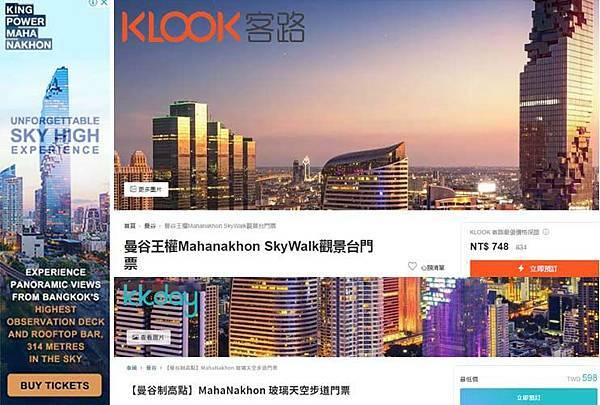 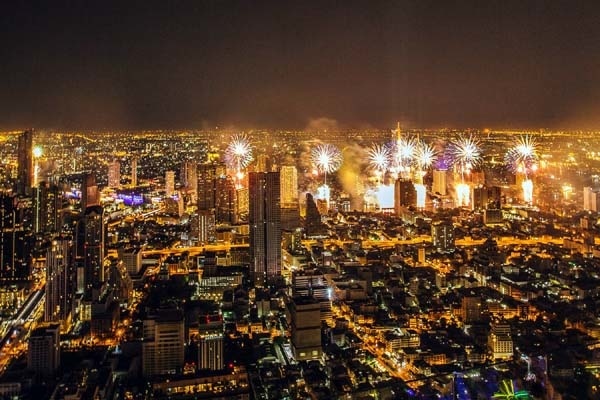 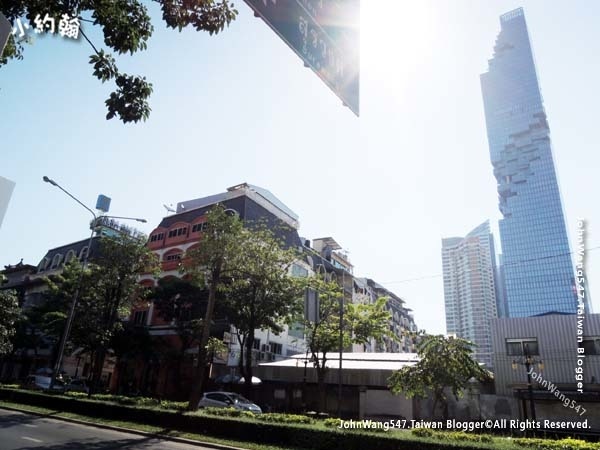 MahaNakhon (Thai: มหานคร) was opened in late August 2016. 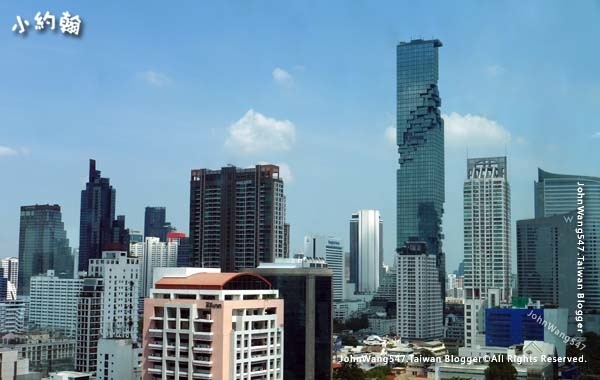 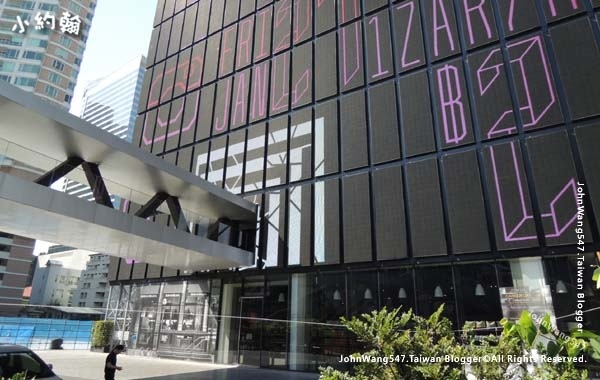 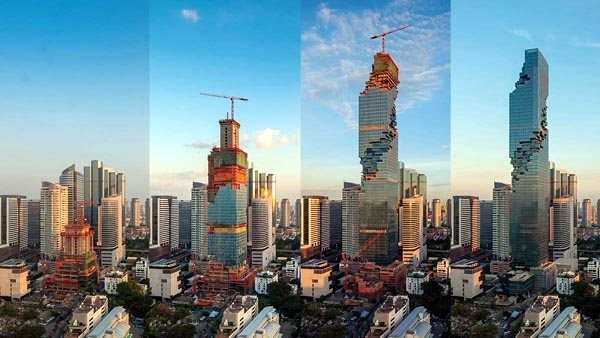 Designed to fit into the Thai landscape with a unique pixelated facade, it features the unconventional appearance of a glass curtain walled square tower with a cuboid-surfaced spiral cut into the side of the building.